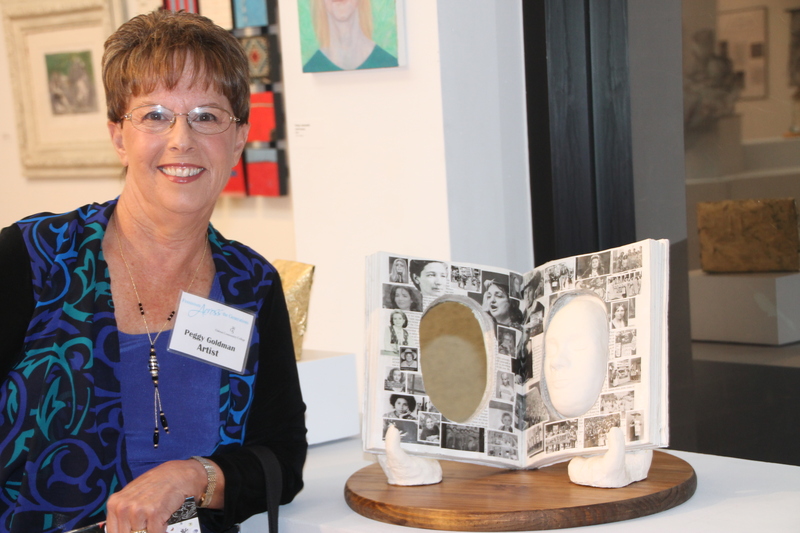 Peggy Goldman, Class of 1965, was honored recently by having one of her sculptures selected to be displayed at the Art Exhibit at Oakton Community College. From the exhibit’s catalog -- "In the last century, feminists won equal access to education and employment. Given that talent and ability are equally distributed in both genders, the expectation that there would be an equal number of women and men in leadership roles in business, the professions, and government at all levels is a logical conclusion. However, this is not the case. Brave feminists continue to fight for equality. Who will bring change? The person appearing in your mirror!" Peggy Goldman received a B.A. in fine arts from Roosevelt University and an M.S. in Education from National Lewis University. Goldman published four articles in School Arts magazine and was a featured artist on the TV show, Aleene's Creative Living. Recently her sculptures have been on display at the Winnetka, Glenview and Northfield libraries.